The Milwaukee Brewers kept Mike Trout in check but his teammates picked up the slack as the Los Angeles Angels pulled out a 5-2 win in their series opener at Angels Stadium in Anaheim. Tommy La Stella, Andrelton Simmons and Justin Bour all belted their first home runs of the season in the Angels victory. The home runs by Simmons and La Stella came off of Brewers starter Jhoulys Chacin, who allowed only one other hit in 6 1/3 innings of work, but was saddled with his first loss (2-1) of the season. The game featured some top plays defensively. Christian Yelich made a lunging catch of a drive by former Brewers catcher Jonathan Lucroy in right center. Yelich then fired to second to double off Albert Pujols at second base. Carlos Gomez clubbed a three-run home run and Jonathan Lucroy’s two-run double put Texas ahead, leading the Rangers to a 6-4 win over the Milwaukee Brewers at Globe Life Park in Arlington, Texas. Chris Carter gave the Brewers an early lead, slugging a two-run homer, his 39th of the season. It ties Carter with Kris Bryant of the Chicago Cubs for second place in the National League home run race. If Carter can hit one more home run in the last four games, he would become just the sixth player in Brewers history to hit 40 home runs in a season. Early in the day, the Milwaukee Brewers thought they had a deal worked out with Cleveland that would send Jonathan Lucroy to the Indians for four players, including three prospects. 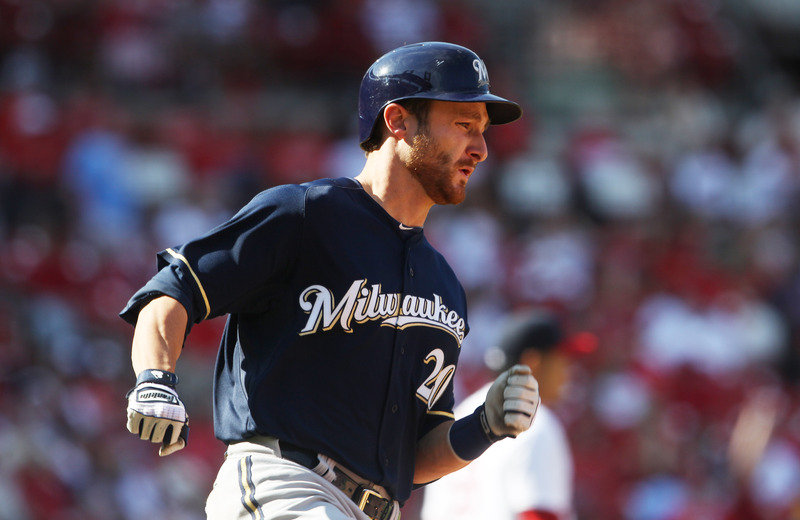 Lucroy vetoed the deal and remained a Brewer, for now. That activity off the field didn’t seem to bother the Brewers on the field. They knocked off Pittsburgh 4-2, sweeping the Pirates and capping off a 10-game home stand with a 7-3 record. Lucroy could still find a new home today. The Major League trade deadline is 3 p.m. this afternoon. The Milwaukee Brewers thought they had a deal in place to send Jonathan Lucroy to the Cleveland Indians in exchange for four players, three of them prospects. However, a short time ago, the Milwaukee Journal Sentinel, citing a source close to the situation, reported that Lucroy has vetoed the trade. The deal would have sent Lucroy to the Indians for prospects: catcher Francisco Mejia, shortstop Ju-Cheng Chang and outfielder Greg Allen, plus a fourth player to be named. The JS report says the Indians were unable to meet Lucroy’s demands as far as compensation for him accepting the trade. Cleveland was one of eight teams on Lucroy’s no-trade list. Lucroy didn’t play in Saturday night’s game against the Pirates, anticipating that a trade was in the works. Word of a deal came down the pike after the Brewers 5-3 victory. 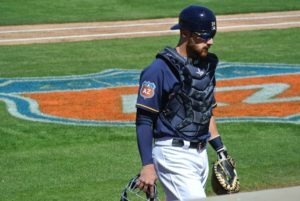 (Update) Below is audio from Jonathan Lucroy as to why he vetoed the trade. The Chicago Cubs rallied in the 7th inning, scoring five times to come from behind and beat the Milwaukee Brewers 6-5 at Miller Park on Sunday. Anthony Rizzo’s bases-clearing double off Will Smith was the big blow as the two teams played for four hours and eight minutes in the extreme heat. 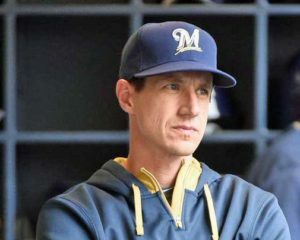 The Brewers had their chances, putting runners on second and third with nobody out in the sixth inning off of veteran Joe Nathan. 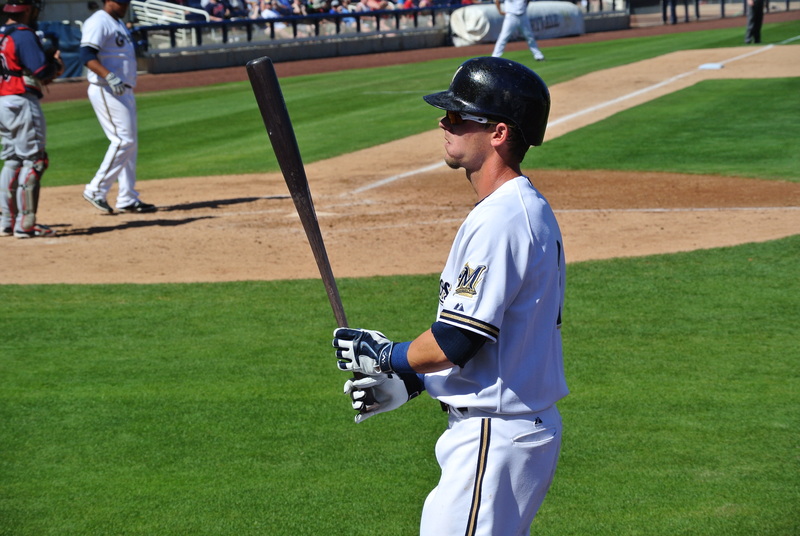 But Nathan struck out Ryan Braun, Jonathan Lucroy and Chris Cater to get out of the jam. 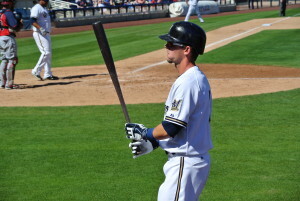 A three-run sixth inning cost the Brewers in their first game back from the All-Star break. Milwaukee led 3-1 thanks to RBI singles by Jonathan Lucroy and Jonathan Villar, as well as a solo home run from Scooter Gennett. But the Reds got to starter Matt Garza in the home half of the sixth to take the lead and would go on to win 5-4. Garza allowed four runs on six hits in five plus innings to fall to 1-3. Villar and Gennett each finished with two hits. Chris carter had a home run taken away from him in the fourth thanks to a leaping catch by Jay Bruce. The series continues Saturday with a 6:10 p.m. first pitch in Cincinnati. Jimmy Nelson opposes John Lamb. 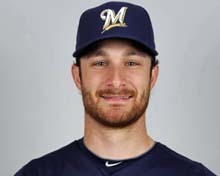 For the second time in his career, Brewers catcher Jonathan Lucroy will take his place among the game’s elite when he competes in tonight’s Major League Baseball All-Star Game in San Diego, California. He will be the lone Milwaukee representative at the 2016 Mid-Summer Classic. Lucroy was previously an All-Star in 2014 when he starter behind the plate for the National League in Minneapolis. At the plate that night, the veteran went 2-for-2 with a pair of runs batted in during a 5-3 loss for the NL.